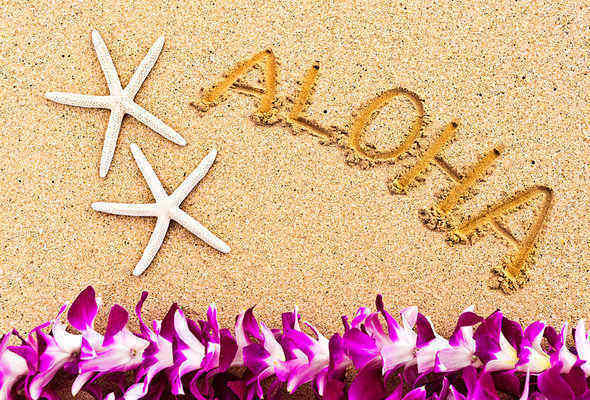 Are you ready to embrace the spirit of Aloha and move to Hawaii? It’s a common ambition, especially among those who have been to the Aloha State and have seen how beautiful it is. But before you quit your job and buy your ticket, we invite you to take a look at our list of the 15 things you should know before moving to Hawaii. 1. The cost of living is high. The cost of living in Hawaii is high. That goes for housing costs, but it also applies to the food on grocery store shelves. Everything that has to be shipped or flown to the islands will cost more. And Hawaii is a high-tax state, too. Hawaii income tax rates are among the highest in the country. The state also has an estate tax. Check out our Hawaii income tax calculator. 2. You’re surrounded by wildlife. If you’re a nature-lover, you’ll feel right at home in Hawaii. 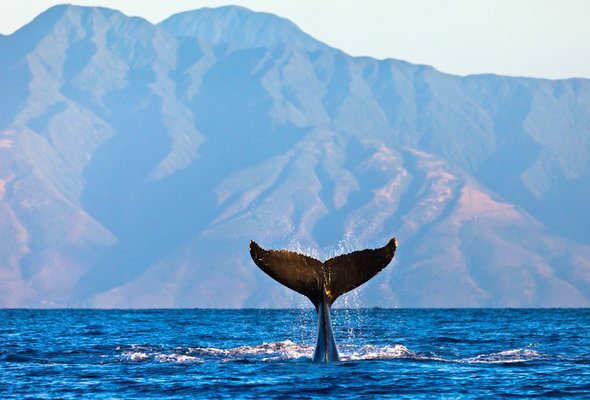 Birds, whales, turtles and tropical fish are all present in the Aloha State and you can get out on the water or into the mountains to look for wildlife. But you might not need to go out of your way to see Hawaii wildlife. You might have birds you’ve never seen before on the trees in your backyard, or drive past turtles on your way to work. 3. Traffic can be brutal. If you think moving to Hawaii will provide an escape from traffic, think again. Traffic in Hawaii can be quite heavy, both in busy urban Honolulu and in less densely populated parts of the state. Two-lane roads are common in Hawaii and can easily become filled with cars. There are public buses, but most people get around in their own vehicle. 4. The sunsets will blow your mind. Hawaii sunsets are a daily (and free!) source of entertainment on the islands. Expect your Instagram to fill up with beautiful sunsets that will make your mainland-dwelling friends desperate to visit you. 5. Surfing is harder than it looks. 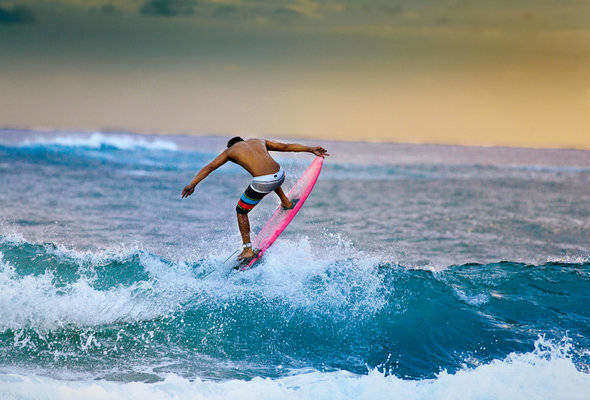 You might be tempted to take up surfing after moving to Hawaii. More power to you! Surfing is much harder than it looks, though. And in Hawaii surfing spots can be jealously guarded. If you’re a novice, you might ruffle some locals’ feathers if you show up in prime surfing real estate and get in the way of more seasoned surfers. 6. Nature gives and nature takes. In Hawaii you’ll get the benefit of a beautiful setting, amazing sunsets, rainbows and hot weather. But there are also volcanoes that ooze lava (and occasionally erupt), as well as sharks and biting insects. It’s all manageable, but it’s wise to adopt a healthy respect for Mother Nature after moving to Hawaii. That means heeding warnings if swimming conditions are unsafe, and not building your house in a lava flow or on an eroding cliff. 7. The dress code is casual. As in other warm climates, the dress code in Hawaii is casual. You probably won’t get much use out of a necktie or a formal gown. Even official business is often conducted in Hawaiian shirts. It’s a diverse state, but Hawaiians are one in their preference for comfortable clothing. 8. Moving with pets is tough. The government of Hawaii carefully guards the state’s ecosystem from outside threats like invasive plant species, non-native animals and pets carrying diseases. If you’re planning on moving to Hawaii with your pet, prepare for a lengthy (and potentially costly) quarantine and screening process. 9. Get ready for cockroaches. No matter how clean your house or apartment is, you might have a run-in with a cockroach. It’s just one of the facts of life in Hawaii, and in the Aloha State the cockroaches fly. If you’re particularly squeamish about roaches, snakes, spiders and mosquitoes, moving to Hawaii might require an attitude adjustment. Whichever Hawaiian island you choose to call home, you’ll be able to hop to the others quickly and easily. After moving to Hawaii it’s a good idea to explore all the islands. You can ask your new neighbors, co-workers and friends for their tips on finding cheap tickets and on when to visit each island. 11. It’s all about plate lunch. 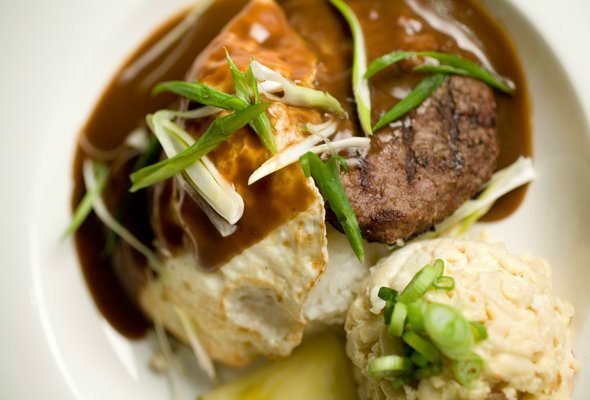 Plate lunch is a classic staple of Hawaiian cuisine. It generally involves meat, rice and a side (which is often macaroni and cheese). Plate lunch is cheap and ubiquitous, and reflects the mixture of Native Hawaiian and East Asian culinary influences. After a morning of surfing or swimming, plate lunch hits the spot without breaking the bank. 12. There’s a sense of community in Hawaii. 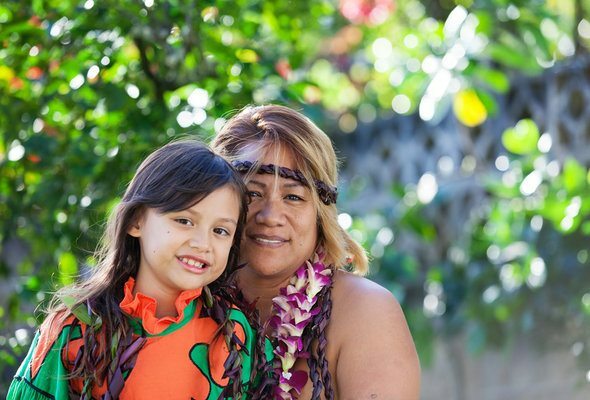 Residents of Hawaii tend to know their neighbors and have a strong sense of community. Though the population can be transient as people cycle in and out of island living, making friends is easy. If you tend to be more on the aloof side, you might find that moving to Hawaii cures you of your natural reserve. 13. Hawaii is a science hub. Hawaii plays a key role in the nation’s scientific research – especially its climate and astronomy research. 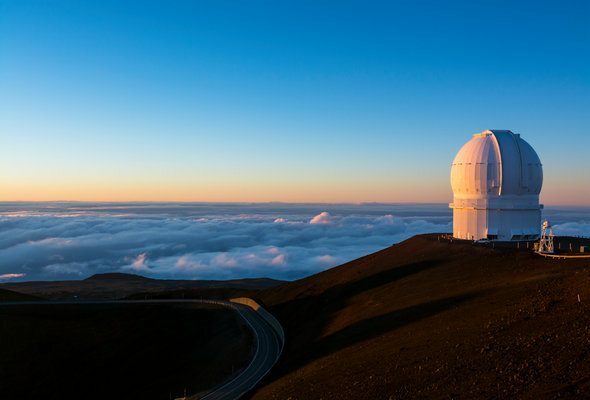 The Mauna Kea Observatories take advantage of prime conditions for astronomical sightings atop the Mauna Kea mountain. However, the research installation provoked controversy because it sits atop a mountain that has sacred religious value to some Native Hawaiians. The Mauna Loa Observatory is an atmospheric research facility that is central to U.S. climate research. 14. Moving to Hawaii might be the most expensive move of your life. We’ve mentioned that living in Hawaii is expensive, but it’s worth noting that just getting yourself and your stuff to Hawaii can be expensive, too. You’ll have to get flights for yourself and the people you’re moving with. You might also have the extra expense of moving a pet. And you’ll have to move your belongings by shipping container or air rather than just renting a U-Haul as you might for another move. Once you’re settled in Hawaii and you have a local driver’s license, remember to whip it out for discounts. Being a documented Hawaii resident has perks in the form of lower prices and discounts. These are known as kama’aina discounts, from the Hawaiian word for local. If you are moving to a new city, it’s a good idea to understand how the change will impact your budget. SmartAsset’s Hawaii paycheck calculator can help you determine how living in the Aloha State will impact your take-home pay. A financial advisor can help you navigate big life changes like a move, or just with identifying and meeting your financial goals in general. A matching tool like SmartAsset’s SmartAdvisor can help you find a person to work with to meet your needs. First you’ll answer a series of questions about your situation and goals. Then the program will narrow down your options from thousands of advisors to three fiduciaries who suit your needs. You can then read their profiles to learn more about them, interview them on the phone or in person and choose who to work with in the future. This allows you to find a good fit while the program does much of the hard work for you.